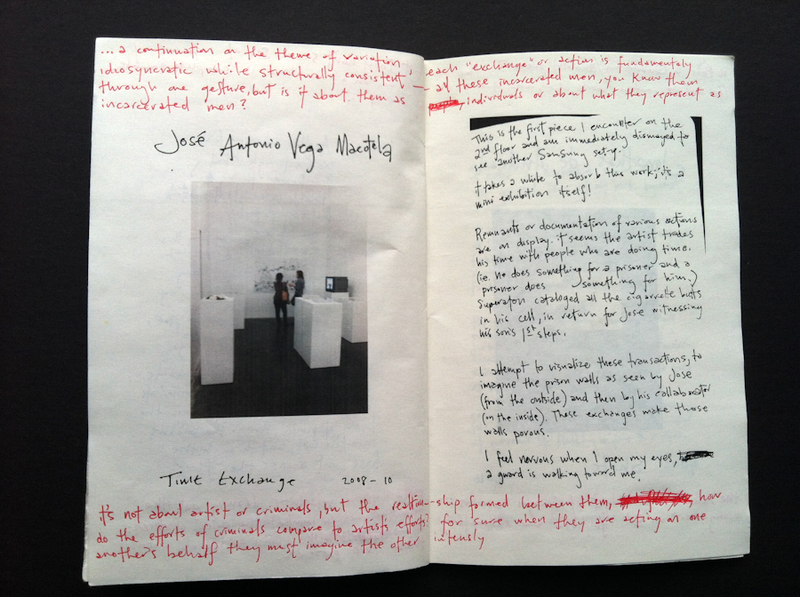 Jose Antonio Vega Macotela, “Time Exchange,” 2008-2010. 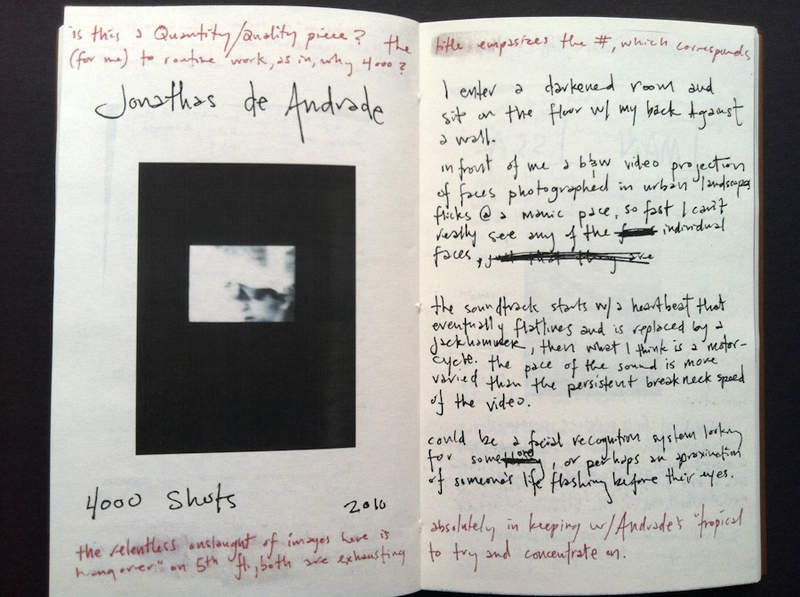 Jonathas de Andrade, “4000 Shots,” 2010. 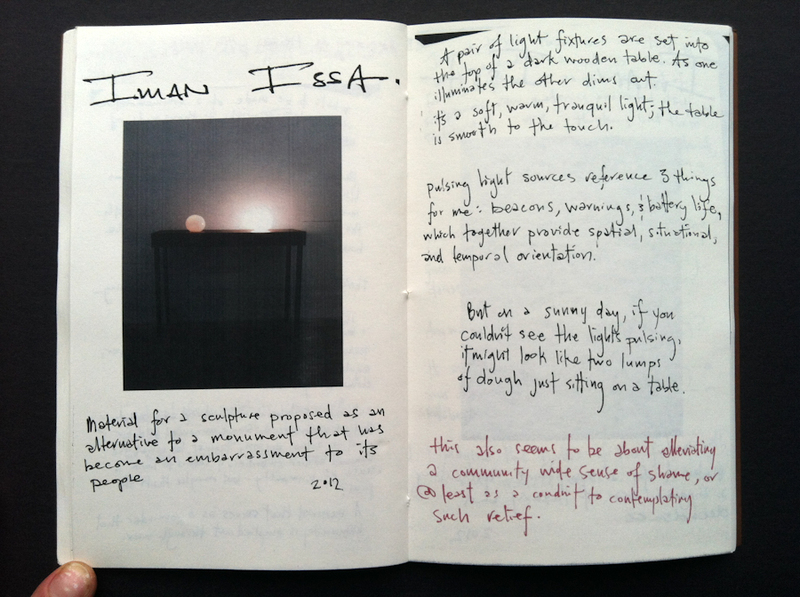 Iman Issa, “Material for a sculpture commemorating the life of a soldier who died defending his nation against intruding enemies,” 2012. 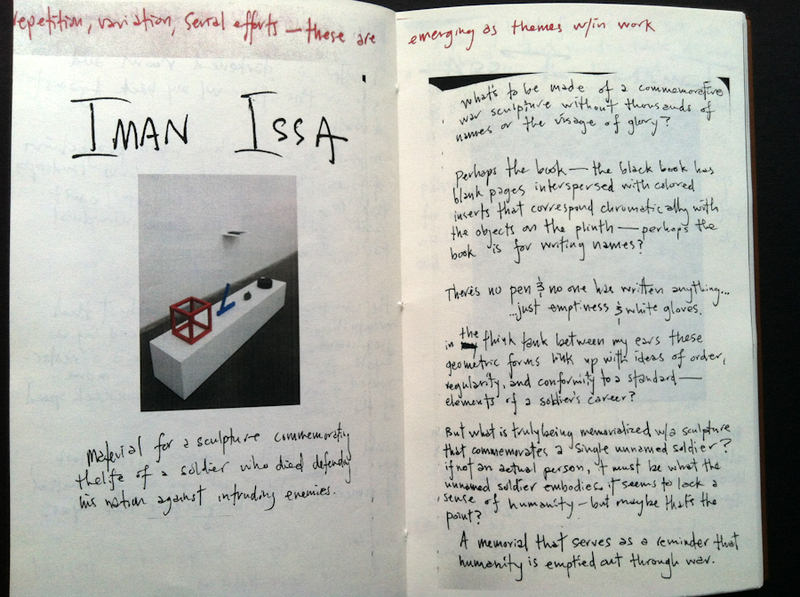 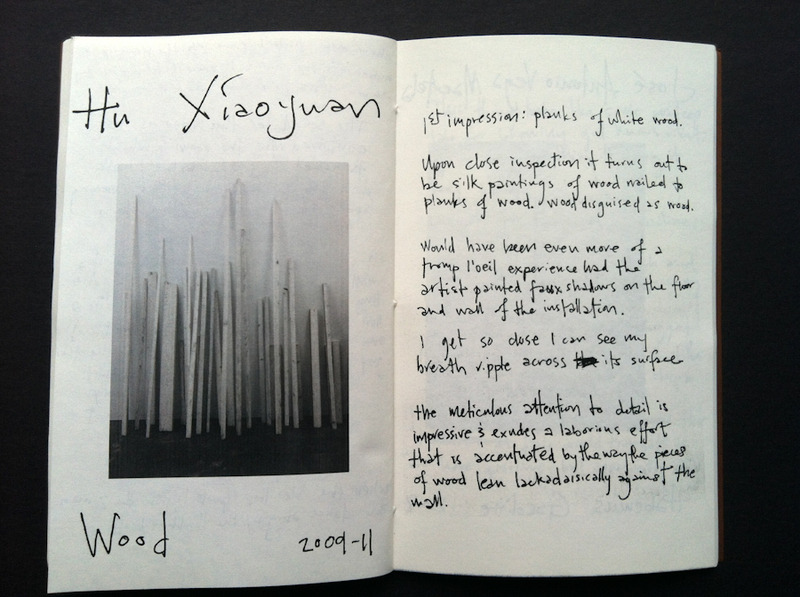 Iman Issa, “Material for a sculpture proposed as an alternative to a monument that has become an embarrassment to its people,” 2012. 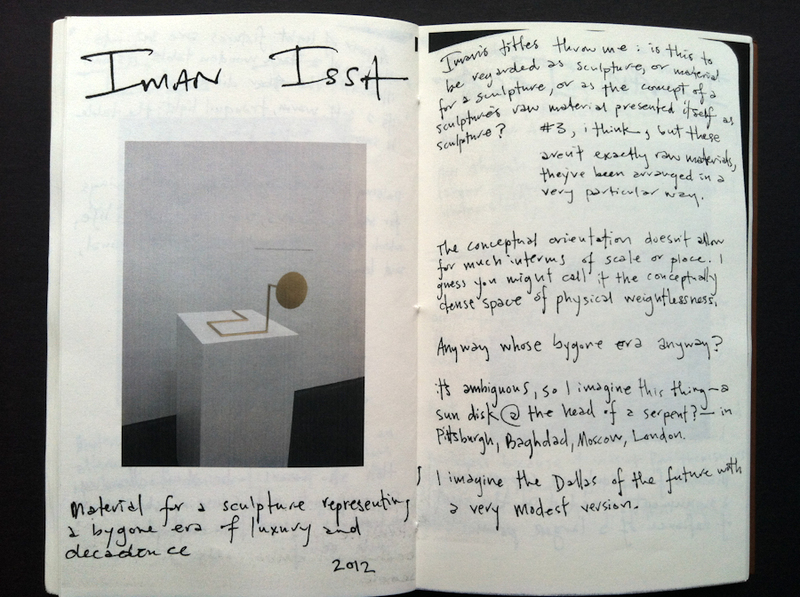 Iman Issa, “Material for a sculpture representing a bygone era of luxury and decadence,” 2012. 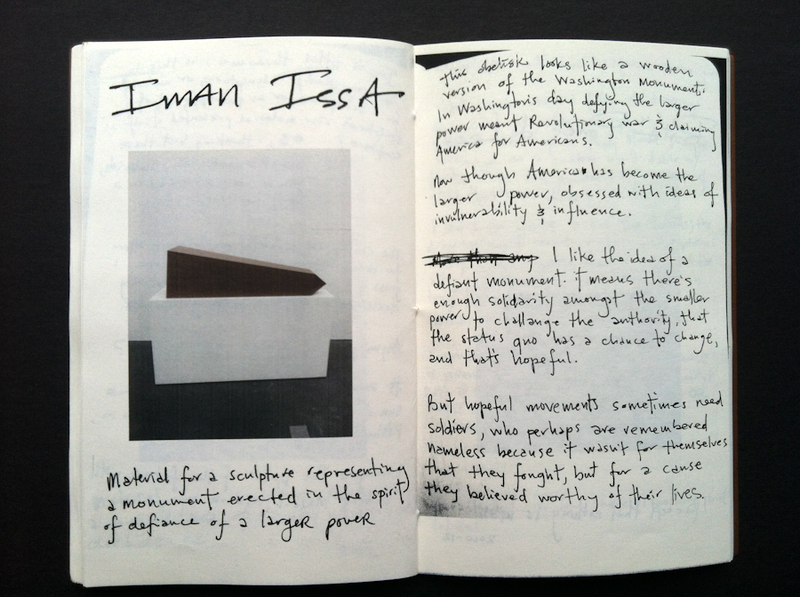 Iman Issa, “Material for a sculpture representing a monument erected in the spirit of defiance of a larger power,” 2012. 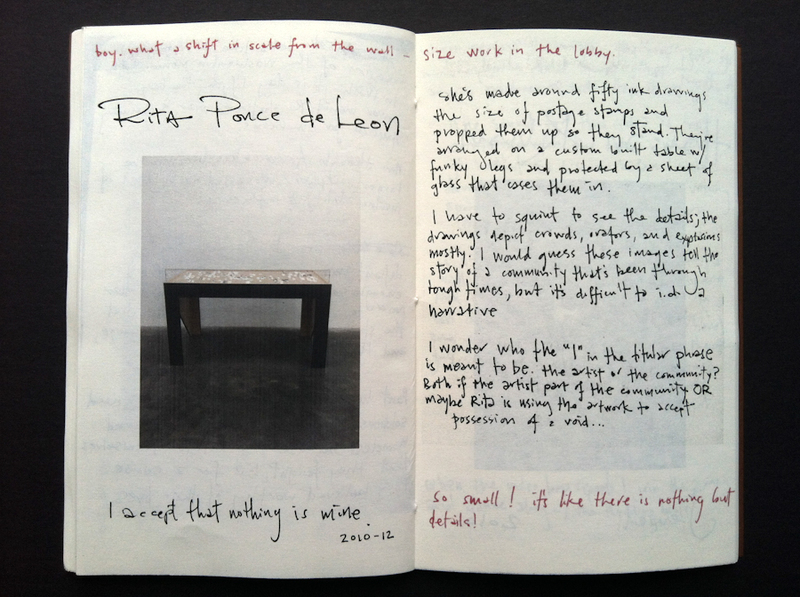 Rita Ponce de Leon, “I accept that nothing is mine,” 2010-2012. 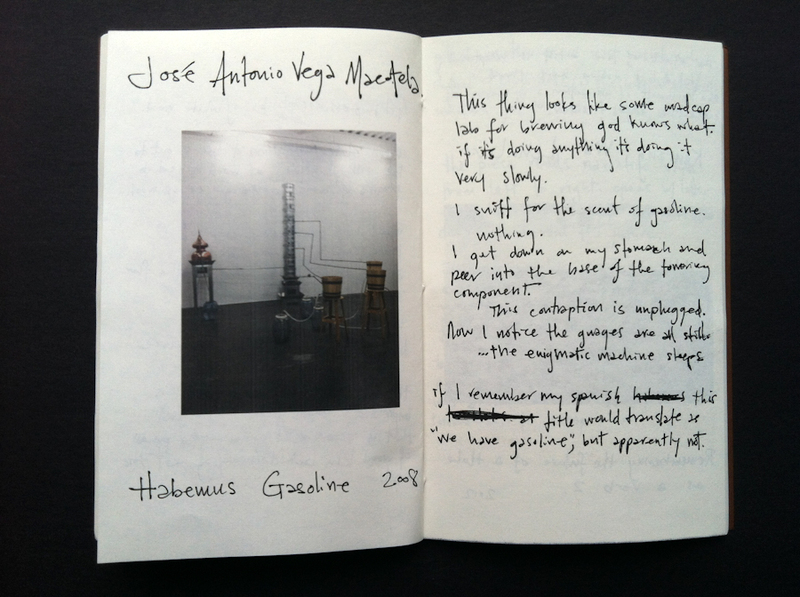 Jose Antonio Vega Macotela, “Habemus Gasoline,” 2008. 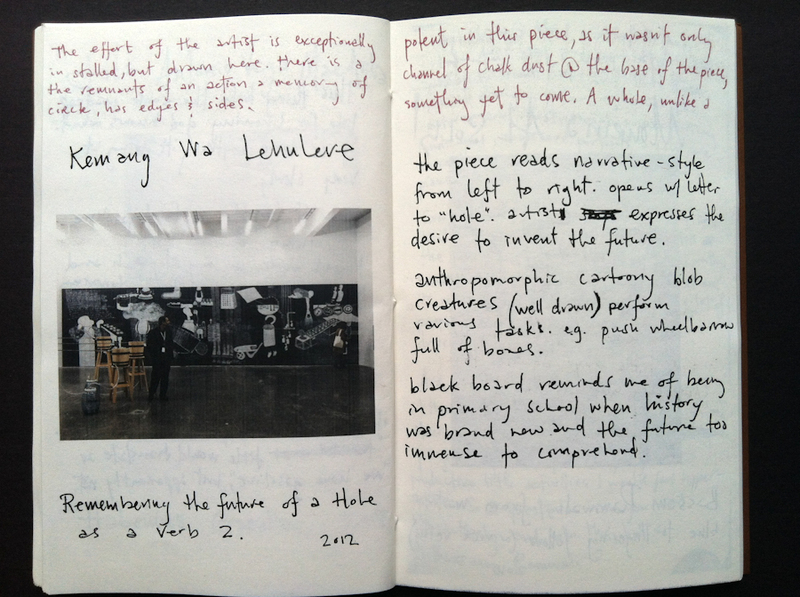 Kemang Wa Lehulere, “Remembering the Future of a Hole as a Verb,” 2012. 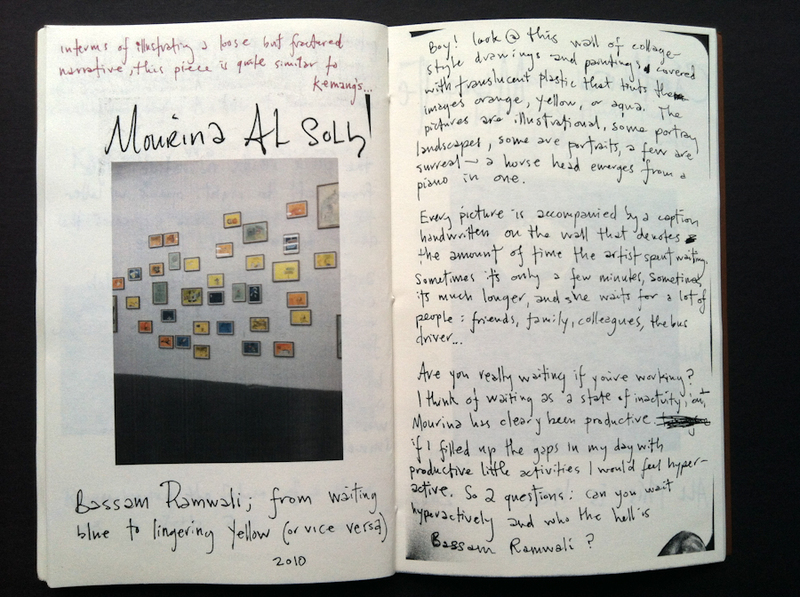 Mourina Al Solh, “Bassam Ramwali; from Waiting Blue to Lingering Yellow (or Vice Versa),” 2010. 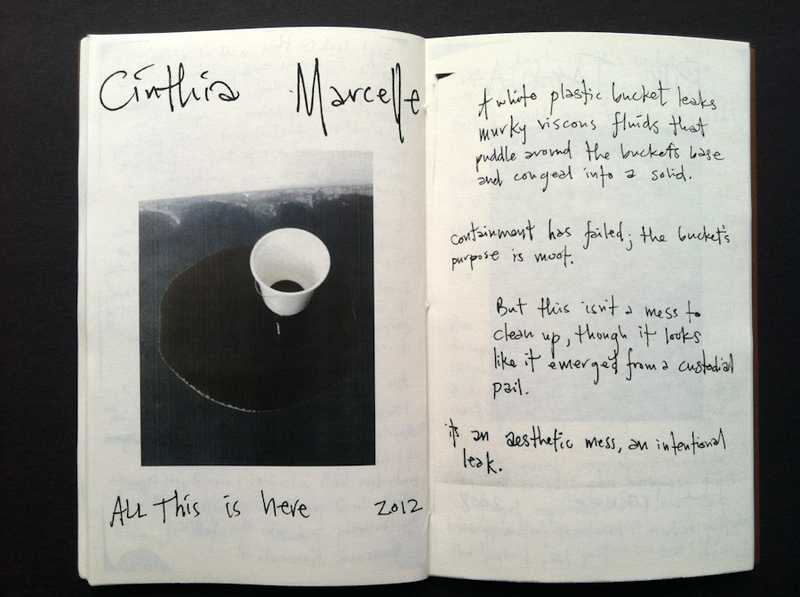 Cinthia Marcelle, “All This is Here,” 2012. 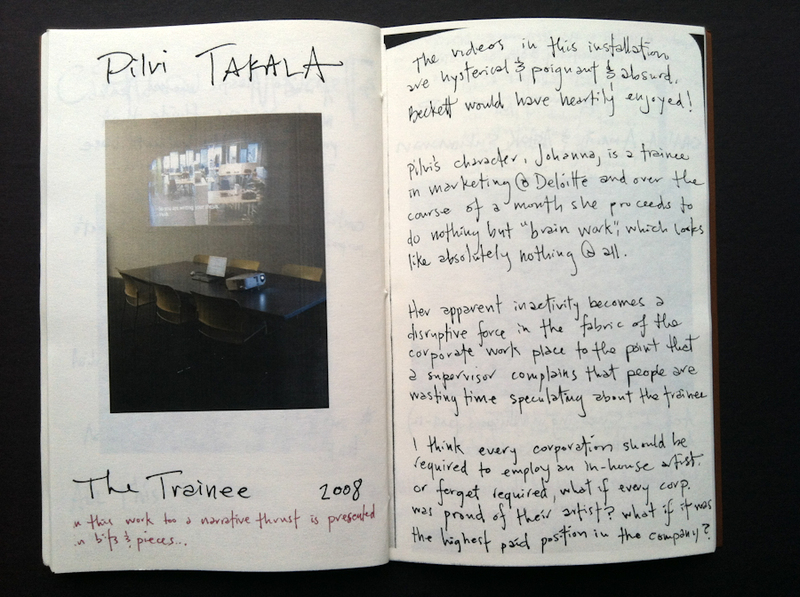 Pilvi Takala, “The Trainee,” 2008. 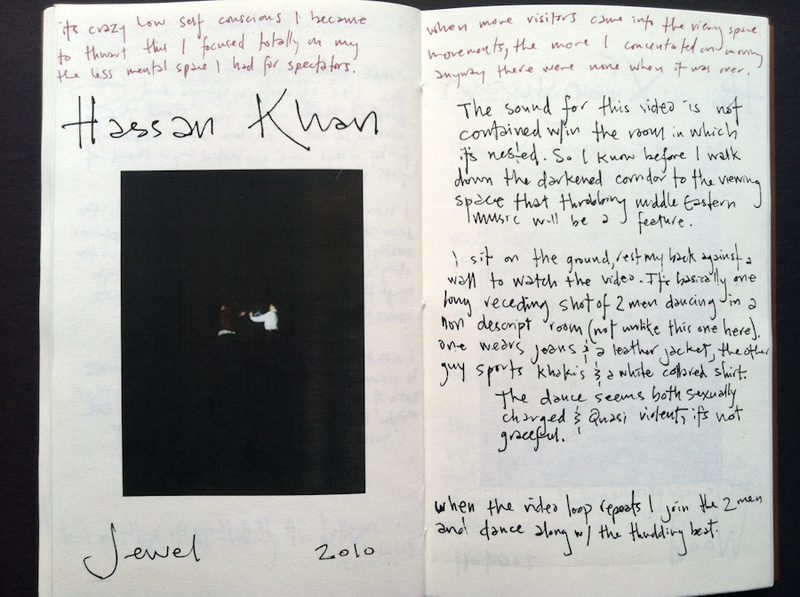 Shaina Anand & Ashok Sukumaran (Camp), “Act I Swearing in Whispers,” 2011-2012. 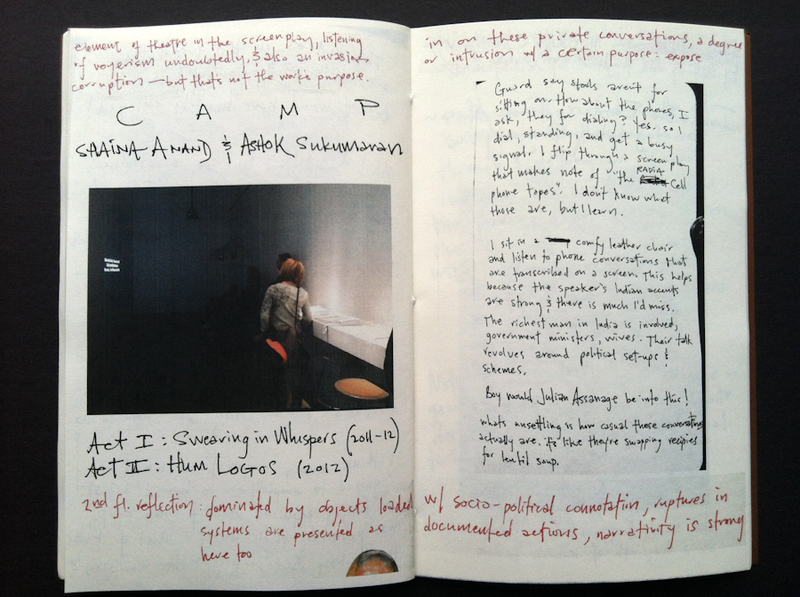 “Act II: Hum Logos,” 2012.